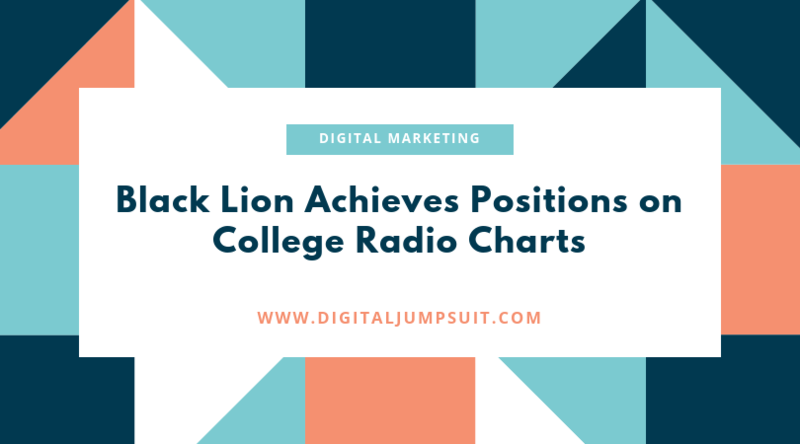 Black Lion Achieves Positions on College Radio Charts - Digital Jumpsuit - Marketing Agency & SEO Halifax - Call the experts!! Digital Jumpsuit and DRC’s client, Black Lion, has been with us for a couple of months now. You may remember our case study last month about how we achieved incredible numbers of their SoundCloud and Instagram (3000% increases). 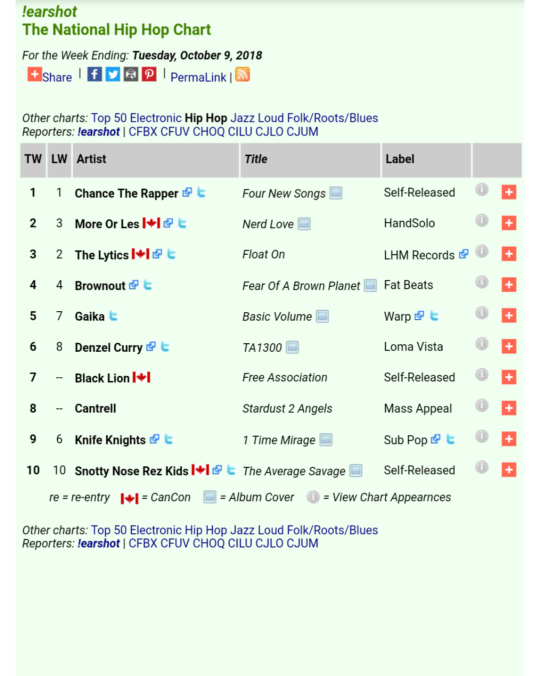 This month, we have more great news to share about the Hip Hop group from Toronto. We rewrote the group’s press bio and encouraged them to reach out to local college radio stations in Toronto and even beyond to other areas of Canada. 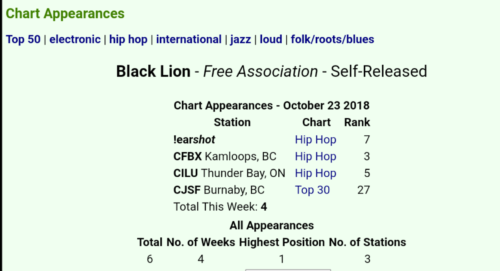 This has led to a lot of success with getting radio play and even charting on some of their charts alongside big names like Chance the Rapper and Denzel Curry. We’d like to congratulate Black Lion on their success and we look forward to continuing to work with them as they continue to grow and gain new opportunities.